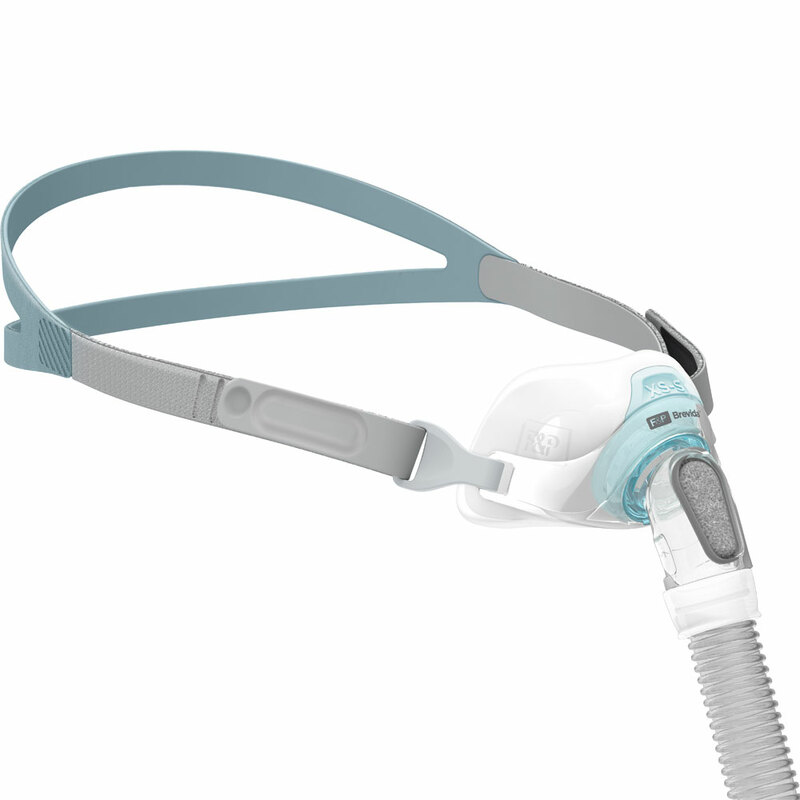 The Fisher & Paykel Brevida™ Nasal Pillow Mask with Headgear is designed to be minimal, comfortable and secure. 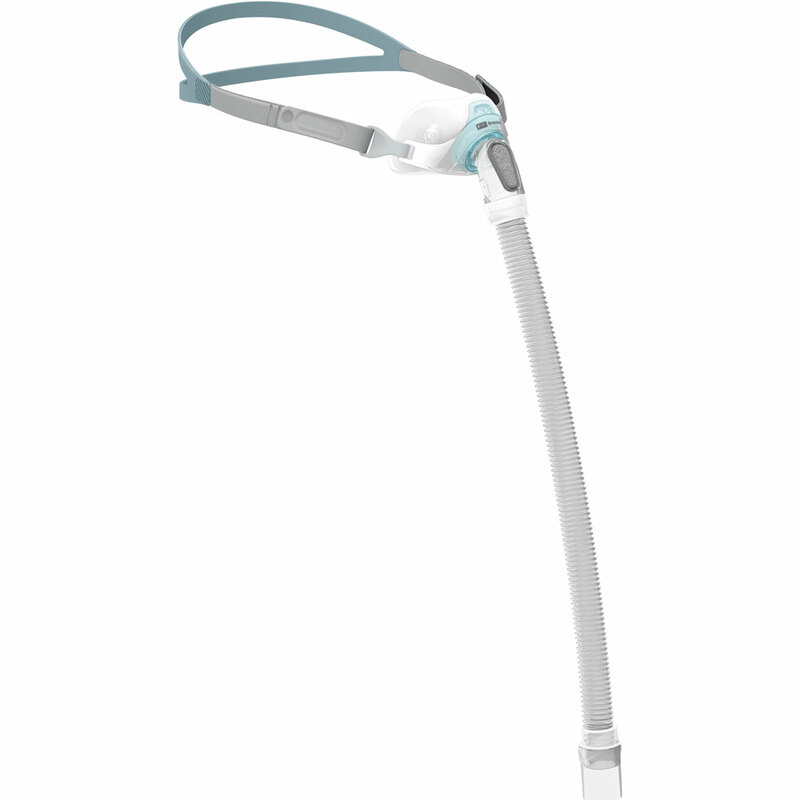 The headgear is a single strap with velcro adjustments. 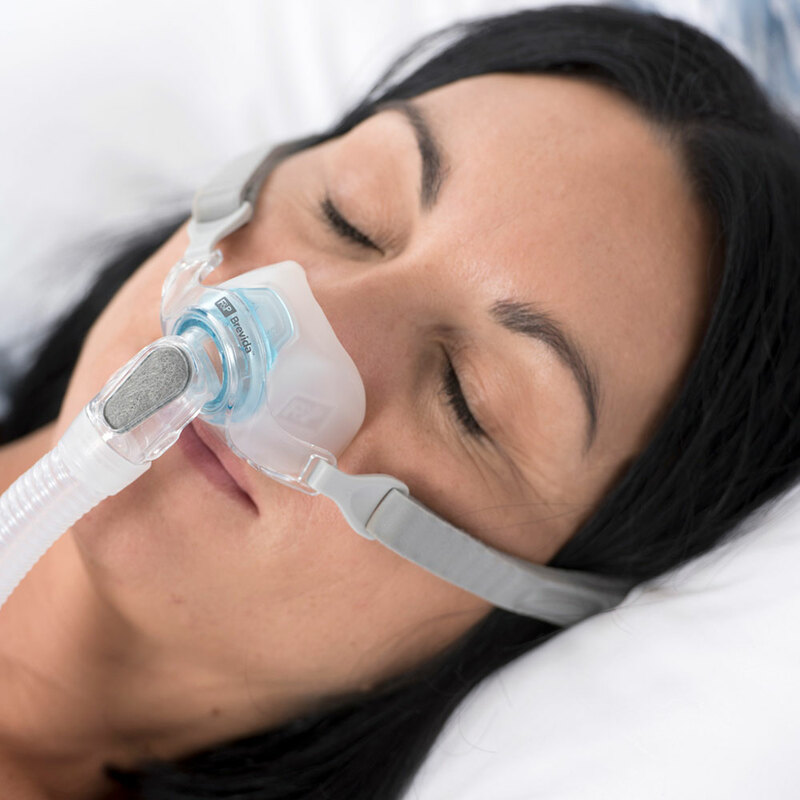 The innovative AirPillow™ inflates to form a gentle and effective seal in and around your nose. 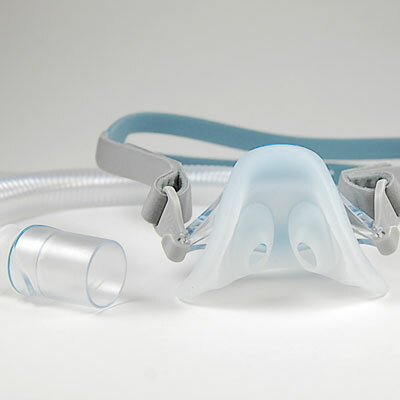 The washable diffuser muffles air coming out of the mask vents, providing for a quiet experience for you and your bed partner. There are 2 sizes available: Extra Small-Small and Medium-Large. Stretchwise material helps the headgear to maintain its shape, even after repeated use. Notches on the headgear to help you keep track of what size works best for you. The sealing region is made of extra-thin (0.25 mm) soft silicone to provide a gentle seal. Versatile pillow geometry fits a wide range of nostril sizes. Side supports designed to reduce the likelihood of the seal dislodging during sleep. The diffuser - which reduces noise and draft - is now washable and reusable. 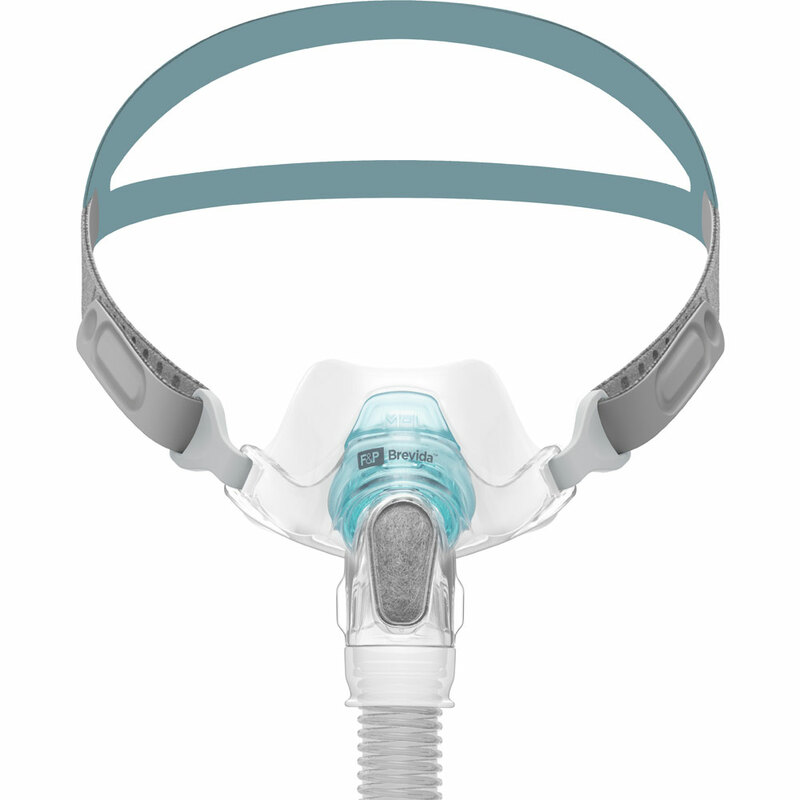 *This mask is only effective when used in conjunction with a CPAP/BiLevel machine.